to buy stock to replenish her store such as dresses, skirts, shirts, pants, blouses, shoes, etc. Cristo Redentor 1 Group benötigte 2325 US-Dollar, um ein Gewerbe im Bereich Bekleidung auf- oder auszubauen. Das Geld wurde gesammelt und für Cristo Redentor 1 Group bereitgestellt. Dionicia lives in a batey (a rural community of sugarcane workers) in the province of San Pedro de Macorís in the Dominican Republic. Bateys are communities where people live in extreme poverty conditions, the majority consisting of haitian immigrants. For one year, Dionicia has sold clothes to generate income to support her family. Although Dionicia finished middle school, she didn't study in university and this has meant that the work available to her does not meet her needs. Dionicia sells skirts, dresses, shoes, curtains, blouses, shirts, t-shirts and pants, among other things. 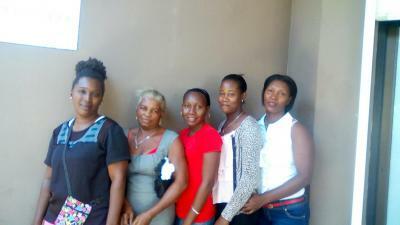 Dionicia is a mother and her dream is to give her children a better quality of life, that they one day become professionals and don't live with scarcity. Dionicia dreams of having a big and profitable shop that generates enough revenue to provide her with a better quality of life. Dionicia needs your help to buy stock and to continue with her business selling clothes. Thank you for contributing to Cristo Redentor 1.